Presented by New Horizon Theater, Inc. 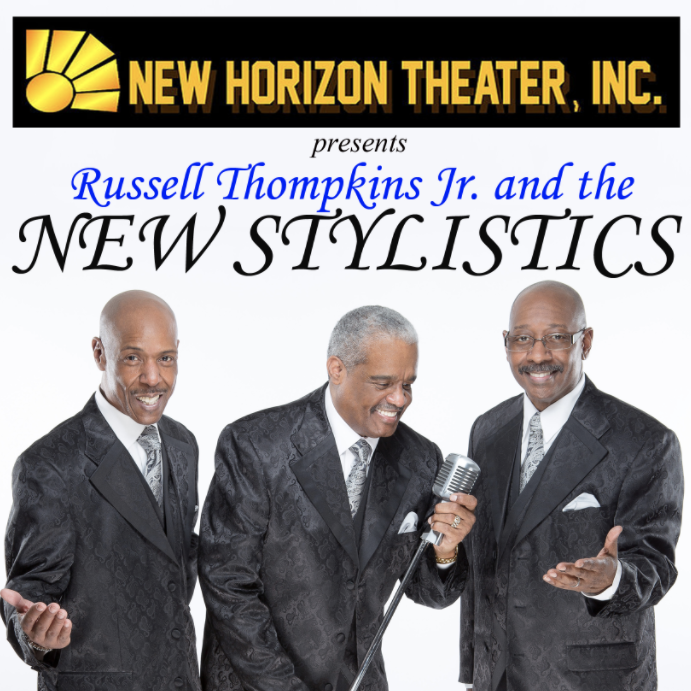 Please reserve your seats early for New Horizon Theater, Inc.’s Annual Special Event on Saturday, May 25, 2019, with Russell Thompkins Jr. and The New Stylistics at 7:30 P. M.
For over 30 years, Russell Thompkins, Jr. was the original lead singer of the Stylistics. His impeccable falsetto voice led the group to international fame and recognition, recording such hits as “You’re A Big Girl Now,” “Stop, Look, Listen,” “You Are Everything,” “Rockin’ Roll Baby,” “Betcha By Golly Wow,” “Break Up to Make Up,” “Stone In Love With You,” “People Make The World Go Round,” “Children Of The Night,” “You Make Me Feel Brand New,” “You’ll Never Get To Heaven,” “Let’s Put It All Together,” “I Can’t Give You Anything,” “First Impressions,” “Love At First Sight,” “Hurry Up this Way Again,” “Love Talk,” and many, many more. Tickets for this event are managed by New Horizon Theater Inc. For questions and/or concerns visit newhorizontheater.org.